Technical Acetates are widely used in a number of different industries and for various applications. Our acetates are used in many industrial applications. Their main effect is pH adjustment, crystallization aid, or as a catalyst or reagent. Ingredients are used in resins, coatings, detergents, dyes, heat packs, carbon black, drilling fluids, ceramics, leather tanning, fire extinguishers, polymers, carpet backing, textile dyeing and conditioning, photography, lubricants, anti-freeze, and personal hygiene products, to mention just a few applications. Potassium Acetate is used as a catalyst in the PTA (Purified Terephthalic Acid) which is a raw material used in making high-performance multi-purpose plastics such as PBT, PET etc. 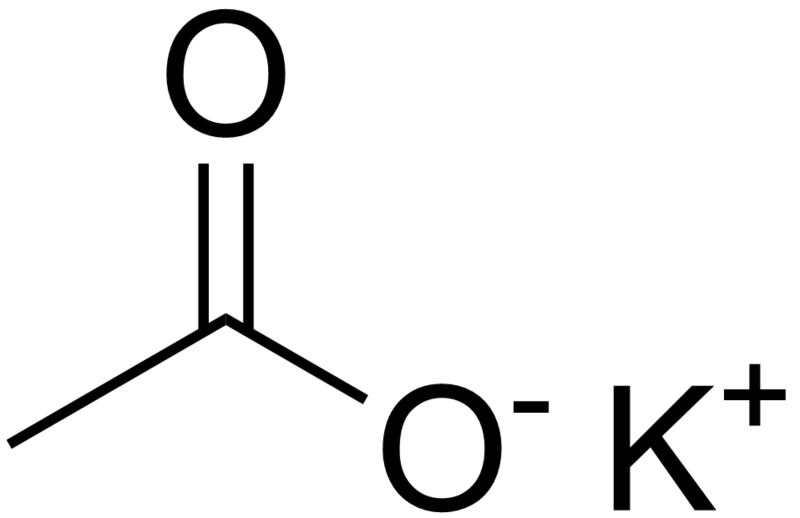 Potassium Acetate is also used in the production of VAM (Vinyl Acetate Monomer) which is used in making PVC. Potassium Acetate is also used in the carbon black production, as a drilling fluid additive, as a flame retardant, in the production of polyurethane foam and as a polymerization catalyst.